Golden Age Heroes: The Secret Origin of The DAREDEVIL! 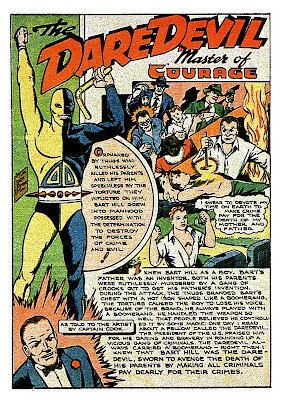 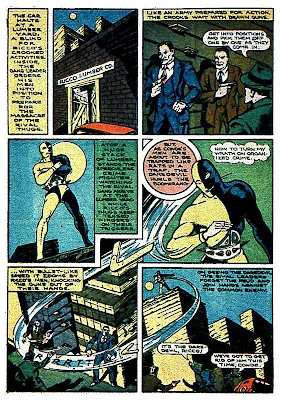 The Golden-Age Daredevil is an interesting character, if only because he went through a couple of significant changes between his first and second appearances. 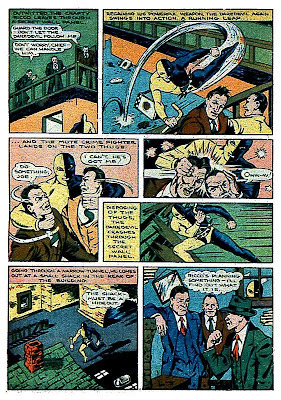 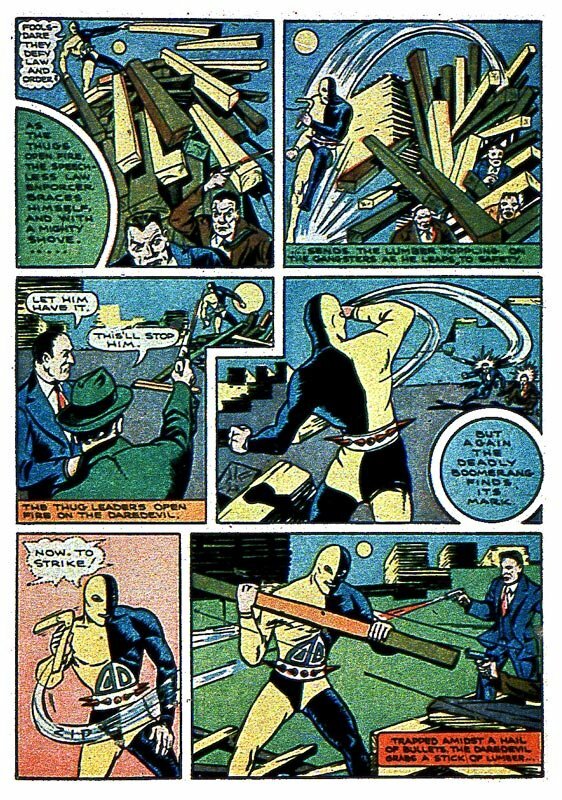 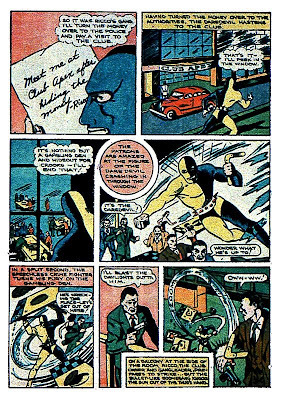 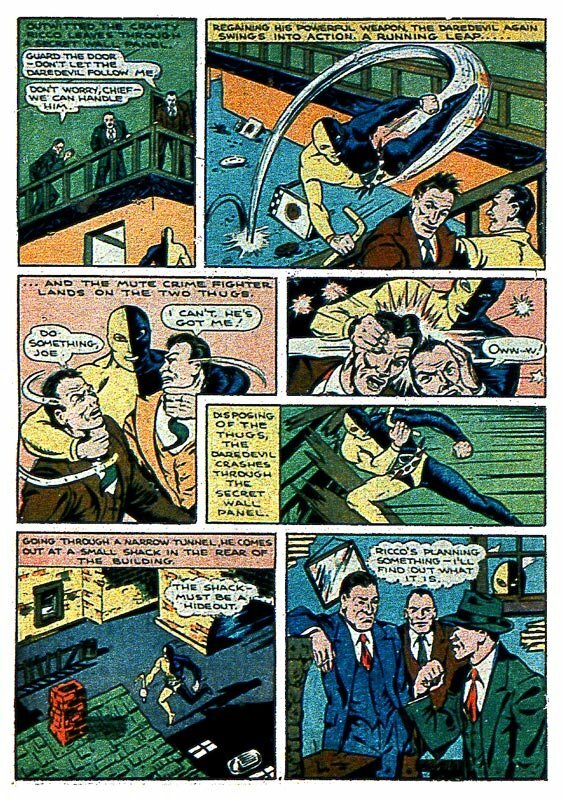 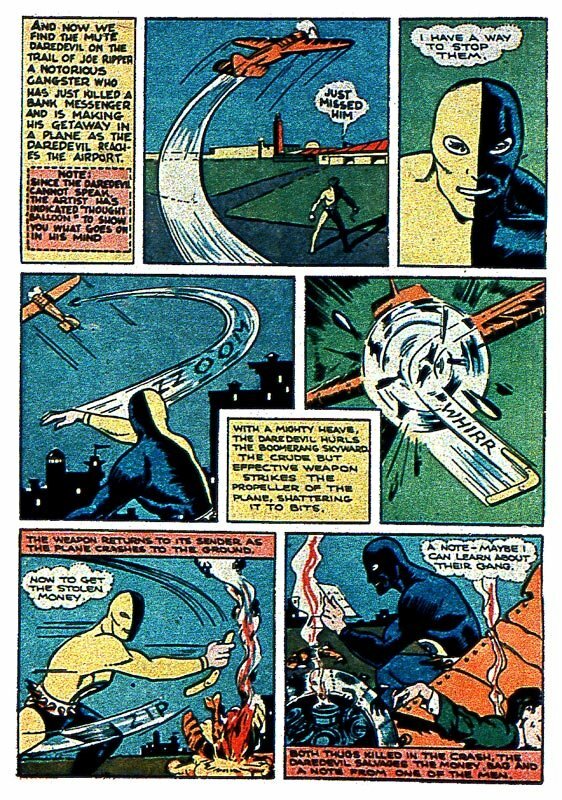 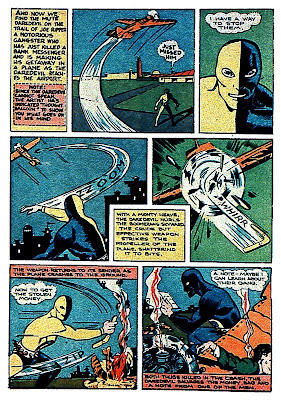 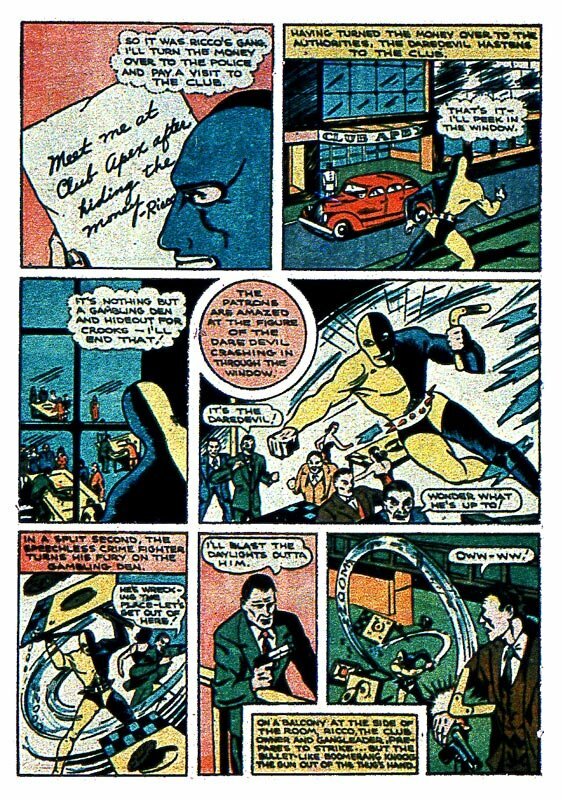 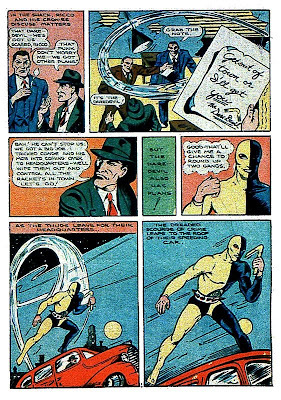 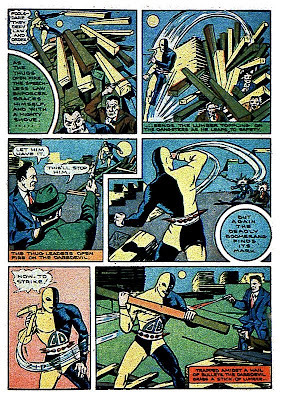 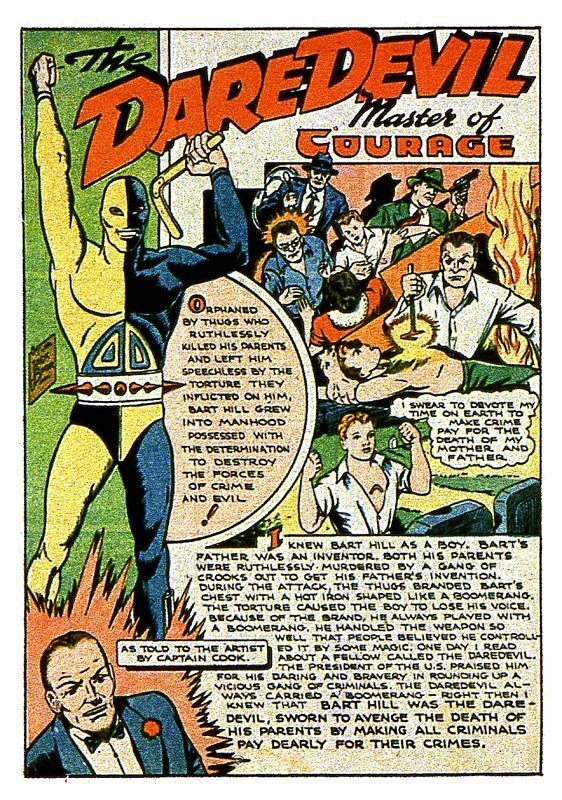 He started out as a yellow and blue clad mute in SILVER STREAK COMICS #6. 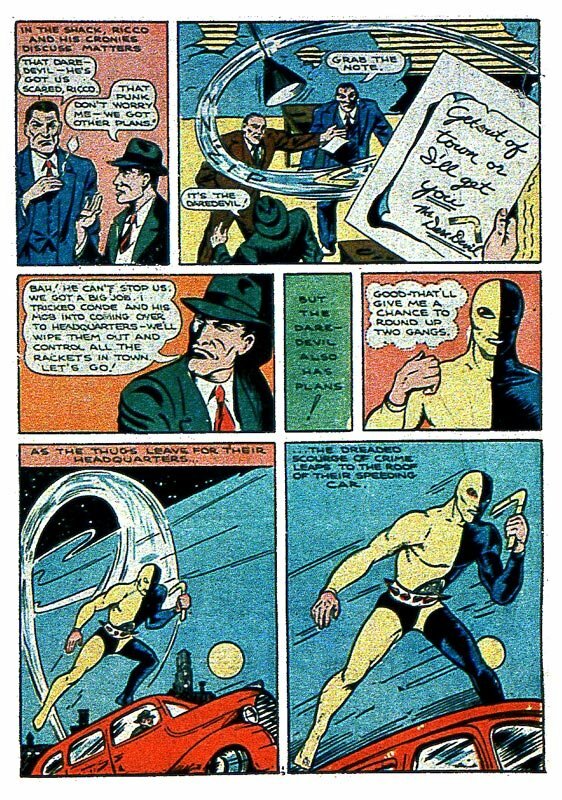 In SILVER STREAK COMICS #7, his costume was red and blue...and he could speak. 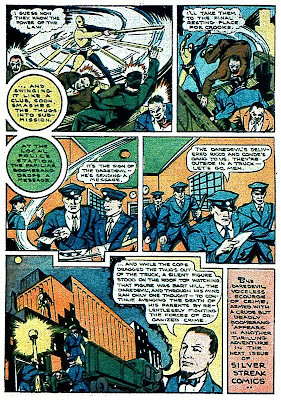 No reasons were ever given for the change.